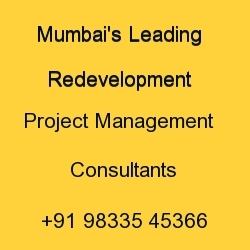 As the pace of reconstruction of cessed buildings by MBRRB was found to be not sufficient so as to cover the entire cessed buildings in the Island City of Mumbai, it was felt by the Govt. that the pace of redevelopment could be increased with the involvement of tenants/landlords/private developers. With this in view, the State Govt. introduced the policy of giving FSI 2.00 for redevelopment of cessed buildings in the year 1984. In the year 1991, the Govt framed the Development Control Regulations for Mumbai. Under these Regulations, the Rule no. 33(7) was formed for redevelopment of cessed buildings in the Island City of Mumbai and the provisions of the policy of 1984 were incorporated in it. In case of redevelopment of ‘A’ category cessed buildings (constructed before 1940) undertaken by the landlord or Cooperative Housing societies of landlord or occupiers, the total FSI shall be 2.5 of the gross plot area, or the FSI required for rehabilitation of existing occupiers plus 50% incentive FSI, whichever is higher. Under the new policy the developer is assured of at least 50% FSI for free sale. Also the policy enables rehabilitation of all occupants on the same plot, reducing social dislocation. Self contained flats of minimum 225 sq.ft. and maximum 753 sq.ft. carpet area are given to the old residential tenants/occupants. Shopkeepers are given an area equivalent to their old area. In case of ‘B’ category cessed buildings permissible FSI shall be the FSI required for rehabilitation of existing occupiers plus 50% incentive FSI. As per the permissible FSI, stated above, will depend upon the number of occupiers and the actual area occupied by them, no new tenancy created after 13.06.1996 shall be taken into account, while computing the permissible FSI. Similarly, tenants in unauthorized constructions made in the cessed buildings shall not be taken into account while computing permissible FSI, i.e. the total no. of tenants/occupants should not increase after 13.06.1996. The responsibility for rehousing such tenants whose tenancy may have been created after 13.06.96 or who stay in unauthorized construction will lie solely with the NOC holder. Though some buildings may belong to ‘C’ category (may not belong to ‘A’ or B’ categories), they may be so dilapidated and dangerous that their reconstruction is most urgently necessary to this end, the Government has granted additional incentive FSI as per Point No.1 above for redevelopment of buildings of any category declared as dangerous, prior to monsoon of 1997. A large number of old properties can be better developed by clubbing them together instead of developing each property separately. This leads to lesser congestion and better infrastructure such as internal roads, open spaces, etc. To encourage the composite redevelopment of several cessed properties together, the Government has granted additional incentive FSI for composite redevelopment. a) One plot. 2.5 or FSI required for rehabilitation of occupiers plus 50% incentive FSI whichever is higher. b) 2 to 5 plots. 2.5 or FSI required for rehabilitation of occupiers plus 60% incentive FSI whichever is higher. c) 6 or more plots. 2.5 or FSI required for rehabilitation of occupiers plus 70% incentive FSI whichever is higher. In some cases, it may not be possible to utilize the entire permissible FSI on the same plot, because of height restrictions, fire-safety regulations, etc. In such cases, the NOC holder is entitled to avail the benefit of “Transferable Development Rights” (TDR), to be used in the suburbs or extended suburbs in accordance with the relevant regulations of DCR 1991, for Greater Mumbai. This provision ensures that the scheme remains feasible even where the incentive FSI cannot be fully utilized on the same plot. In case of Heritage buildings in Grade III and precincts, no permission of the Municipal Commissioner or Heritage Conservation Committee is now necessary, if the height of the buildings does not exceed 24 meters (excluding stilt). All these modifications and incentives mentioned in Government gazette notification dated 25.01.1999 will not be applicable to the areas which are affected by the Coastal Regulation Zone (CRZ) notification issued by Ministry of Environment and Forest, Government of India vide notification dated 19th February 1991, and orders issued from time to time. The surplus Built-up area is to be surrendered to M.B.R & R. Board as per Schedule -III of MHADA Act 1976.